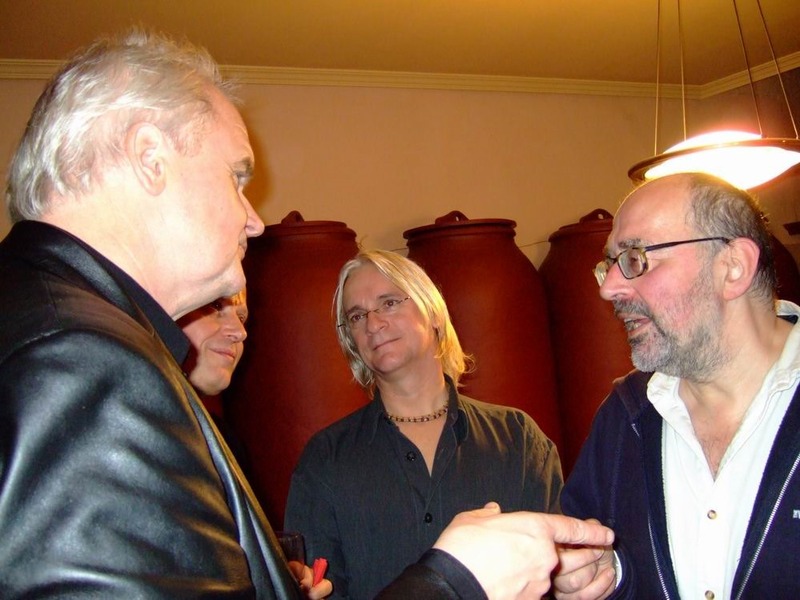 Unexpected my friend of over 30 years, a great human being and jazz concert promoter, Heinz Krassnitzer passed away this weekend, being just 61 years old. I met Heinz when starting to work for jazz festivals and then again when issuing the Austrian jazz magazine Jazzlife and we quickly became friends. His no-nonsense approach to what he did was refreshing and his love for jazz, the music he promoted, deeply rooted. He was setting up concerts at the Technical University in Vienna and we helped a bit in the organisation and later catering, as by then we had opened the JazzCafe ‘miles smiles’ in Vienna, which became his favourite hangout. Often we spend nights there talking about music, how we wanted to see Miles Davis perform or he told musicians stories, especially of Roland Kirk, whom we both liked, but he had the pleasure to meet and hear a few times. When Miles did make his comeback in the early 80’s we went together to one of the first shows in Europe- a overnight train trip to Frankfurt, gig and then back the next day – a few months later he brought Miles to Vienna .. and we both went to see him again. Heinz, together with his partner and friend Fritz Thom, was there when some friends and I opened the Viennese jazz club miles smiles and helped us to get some acts for the very small space – and has done so until today. When I moved from Vienna to London Heinz was one of the true friends who always stayed in touch, had time for a chat about music, did send recommendations (he was one of the first who spoke to me about Gregory Porter … how right he was!). And he came to visit. Heinz for me is one of the ‘unsung heroes’ of the Austrian jazz scene – by bringing a lot of international acts to Austria he and Fritz gave the local scene a strong injection of ideas and concepts and then by booking local acts into the festivals they were doing, they put the Austrian musicians up next to the international ones … helping them in terms of gaining status and recognition. When I celebrated my 50th birthday in Madrid Heinz as well came to party with us – an unforgettable evening for all of us. It’s difficult to believe that the talks will end now, the plan to maybe meet at Christmas on the Canary Islands will remain a plan forever …. I will miss him and I am sure many other people will as well. He was the guy behind the scenes – sometimes that is the most important one.